Colourful buildings in Iceland's capital city, Reykjavík. 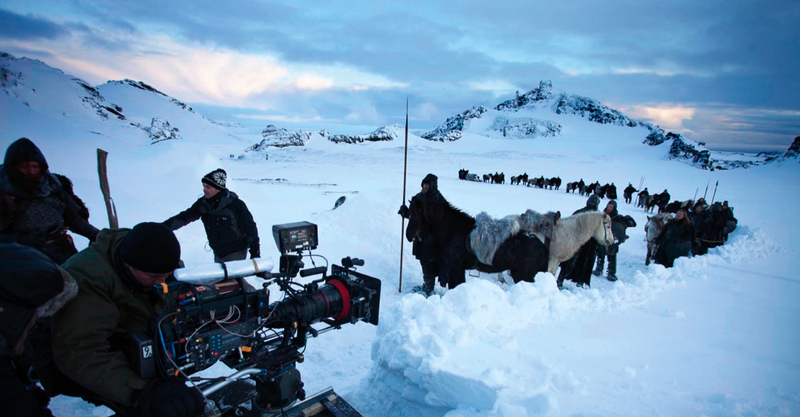 Behind the scenes of the Game of Thrones set, filmed in Iceland. One of many erupting geysers across Iceland. Bewitchingly beautiful, yet volatile and unpredictable, Iceland is one of planet Earth’s most captivating destinations. Anchored in the Atlantic Ocean, where the North American tectonic plate drifts apart from its Eurasian cousin, the Land of Fire and Ice lures tourists with its astonishing volcanic scenery, exhilarating adventures and otherworldly natural phenomena. Nudging the Arctic Circle, Iceland has two peak seasons for visiting; high summer (June to August), when the midnight sun shines and dazzles, and winter (October to March), when the Northern Lights cast their eerie, magical spell over an island that was first settled by the Vikings in AD870. For all its breathtakingly dramatic sights, one of the best things about Iceland, whatever the time of year, is its pocket-sized capital. Cosy, creative and caffeine-fuelled, Reykjavík is both an absorbing base and a springboard for exploring this thrillingly unique country. Travelling in Iceland tends to conjure up countless ‘wow’ moments. I have one of these when I first glimpse the Lutheran church of Hallgrímskirkja. Perched atop one of Reykjavík’s little hills, this neo-gothic rocket – built between 1945 and 1986 – looks as if it was dreamt up by the famous French architect Le Corbusier, with help from the boffins at NASA. Riding the elevator up the church’s tower affords sweeping views over a city that, in many ways, feels like a big village; albeit one that has swelled exponentially in recent decades. When he visited the then-sleepy, mountain-fringed fishing harbour in the 1930s, the English poet WH Auden wasn’t impressed. “There is not much to be said for Reykjavík,” he wrote in his book Letters from Iceland. Auden would have cause to reassess this opinion now. Melding distinctive Nordic flavours with cutting-edge cosmopolitan influences, Reykjavík might well be Europe’s quirkiest little capital. And it’s got its bounce back after being caught in the maelstrom of the 2008 global economic meltdown, when Iceland’s banks spectacularly collapsed. Multinational chain stores and eateries are rare in a country that oozes such a can-do, independent spirit, and you’ll see clusters of enticing indie establishments as you stroll through Reykjavík’s compact, heavily pedestrianised city centre. Many are housed inside quaint, colourfully painted, corrugated-iron houses dating from the late 19th century. I enjoy browsing funky design boutiques selling everything from fashionable woolly sweaters and lava beads to retro vinyls and bespoke watches (not to mention kitsch Viking helmets). Intimate, arty coffee houses are patronised by the city’s hip, youthful, multi-lingual population, as well as tourists seeking a caffeine fix and reading material. 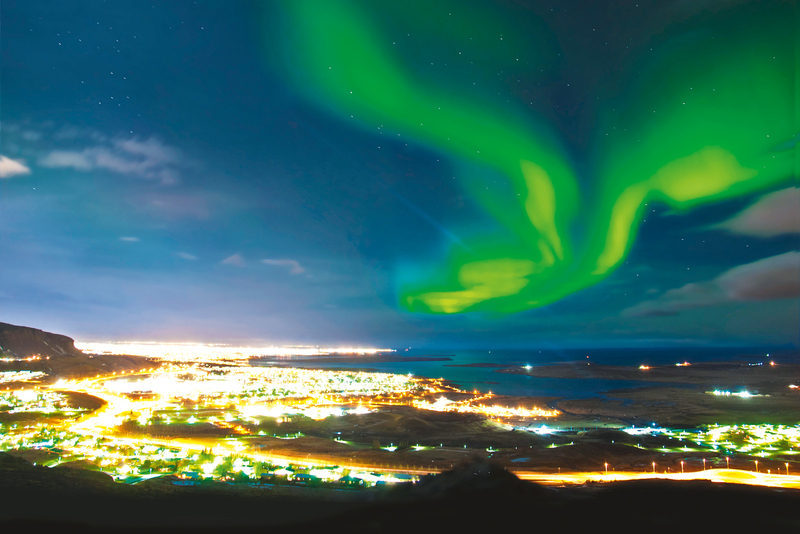 Be sure to flick through The Reykjavík Grapevine, Iceland’s answer to Time Out. Alcohol isn’t cheap here – think $10-plus for a beer – but the nightlife, particularly on weekends (and especially on sleepless summer evenings), really buzzes. One of the most eccentric haunts is Lebowski Bar, a vibrant hangout themed on the Coen brothers’ cult movie. Like cocktails? Then you’ll love Slippbarinn, a smart bar tucked inside the Reykjavík Hotel Marina. Iceland’s cuisine gets a bad rap overseas thanks to its traditional dishes like fermented shark meat and pickled rams’ testicles, and controversial ones like whale steaks, but good wining and dining places abound in Reykjavík. Reindeer burgers, horse tenderloin and whale star on the menu at Grillmarkadurinn, a pioneer of ‘new’ Nordic fare. Sushi Samba creatively fuses Japanese, South American and Icelandic ingredients, while there’s a handful of informal, authentic Asian joints, such as Noodle Station where I slurp an aromatic Thai-style beef noodle soup that transports me to Bangkok. And if you fancy fresh seafood you’ll be spoilt for choice. I enjoy a luscious lobster soup at The Sea Baron. Run by a retired fisherman, it’s one of a clutch of fish-tastic munching spots at Reykjavík’s photogenic old harbour (where, as well as spying fishing boats coming in with their hauls, you can sign up for whale and puffin-watching cruises). 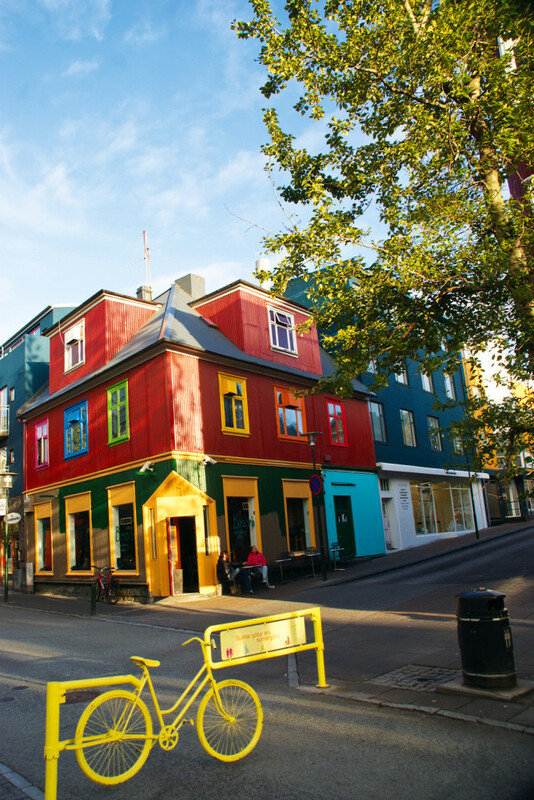 Considering its diminutive size, Reykjavík packs a hefty cultural punch. Glimmering on the waterfront, the Harpa concert hall is a symbol of Iceland’s post-crash recovery. 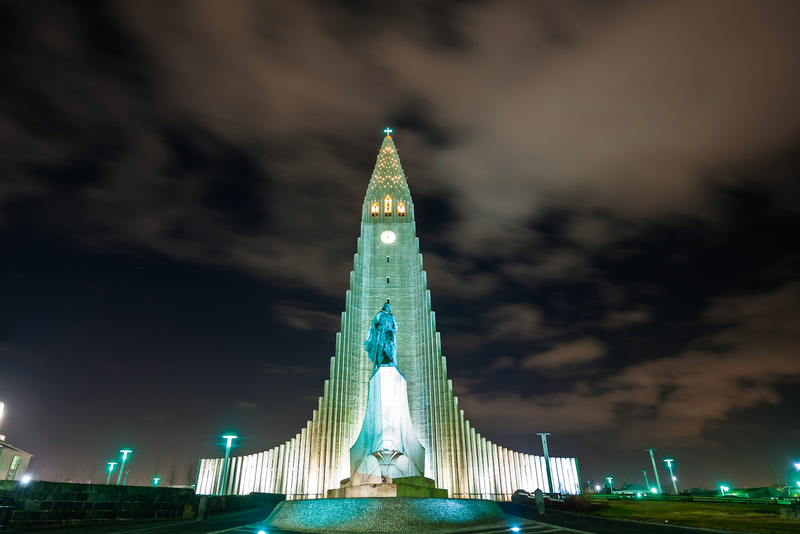 Opened in 2011, its show-stopping design was inspired by Icelandic nature, volcanoes and the Arctic light, while its calendar of events features shows, exhibitions and international conferences, plus performances from the Iceland Symphony Orchestra and Icelandic Opera. I find it hard to take my eyes off it. Talented street artists and sculptors work their magic across the city, while galleries and museums expose Iceland’s 1200-year-old history, charting its development from isolated Viking outpost to one of the globe’s wealthiest countries. The Saga Museum brings to life the famed Icelandic sagas (Game of Thrones-esque medieval tales bustling with heroes, villains and bloody battles). Audio-visual exhibitions show the 2010 eruption of the iced Eyjafjallajökull volcano (whose ash clouds caused the shutdown of Europe’s airspace). Another crowd-puller, Aurora Reykjavík, recreates the awe-inspiring majesty of the Northern Lights using HD projection. My appetite for circumnavigating Iceland is further whetted by Sigur Rós, the country’s most successful musical export along with Björk. Their brilliant documentary Heima, which I watch at Reykjavík’s cute Bio Paradis cinema, shadows the band on a tour around their homeland. It’s an engaging tapestry of ethereal tunes and hypnotic landscapes. 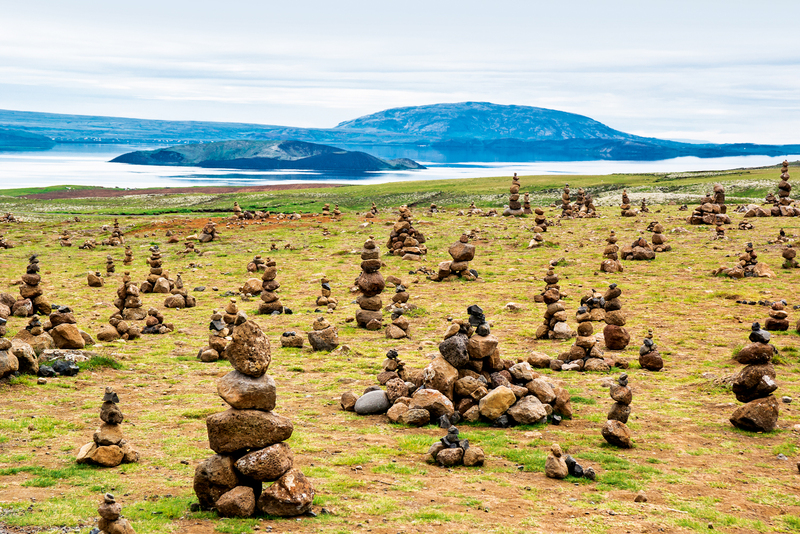 Starting and finishing in Reykjavík, the Golden Circle tour is a tantalising taster of an island that’s a touch bigger than Tasmania. Operators like Iceland Excursions (icelandexcursions.is) traverse this 300-kilometre loop, which flaunts some of the country’s finest UNESCO World Heritage-listed territory. 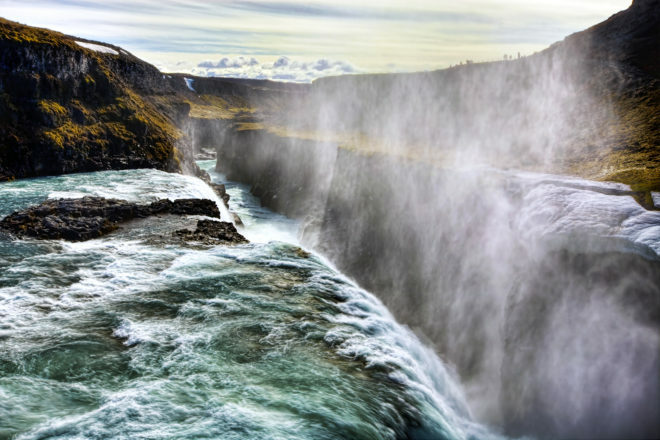 The Golden Circle’s poster boys are Gullfoss (a thunderous, frequently rainbow-tinged waterfall) and the sulphur-scented fields of Geysir where Strokkur, one of the world’s most active geysers, spews up to 30 metres high every 10 minutes. I find myself gasping and giggling alongside fellow onlookers. 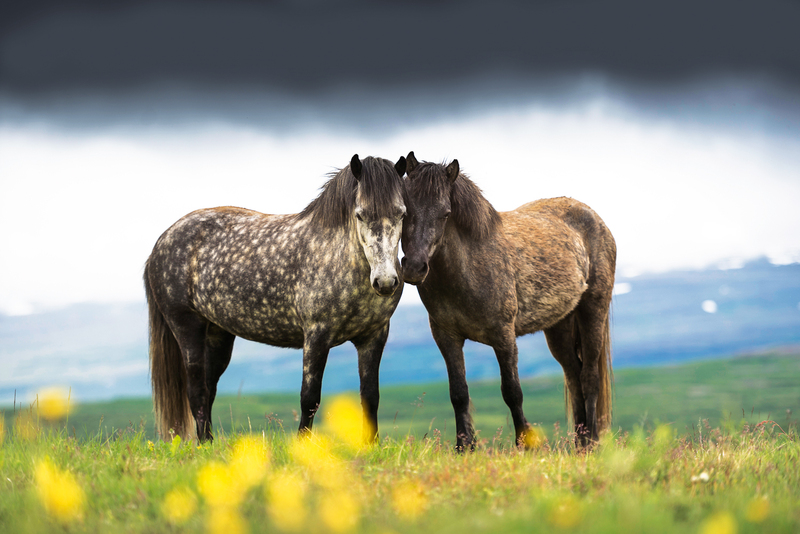 Also on this day tour, you’ll spot snug, witch-hat shaped churches sprouting from lush green meadows, galloping pure-breed Icelandic horses and, if you keep your eyes peeled, elves, fairies and trolls, which are said to lurk behind rugged volcanic rocks. Polls show that a majority of Iceland’s largely well-educated population of 320,000 believes in these huldufolk (hidden folk). To be fair, the country’s surreal, alien-like, constantly evolving landscapes inspire fertile imaginations. The tour also visits the Icelandic rift valley, where the two tectonic plates separate, and Thingvellir National Park, where the Vikings built the country’s first parliament. You’ll also see futuristic steam-clouded geothermal power plants, which generate much of Iceland’s energy supply, but whose construction has sparked protests from eco-warriors for scarring the pristine environment. Depending on how much time you have, consider a self-drive tour or a round-island coach trip. Covering Iceland’s extraordinary deluge of lakes, fjords, waterfalls, temperamental volcanoes, lava fields and hot springs plus centuries-old farms, far-flung fishing villages and folkloric traditions, tours usually last between five and eight days. One highlight is snowmobiling through Vatnajökull National Park, which is home to Europe’s largest glacier, and doubled up as Siberia during the opening sequence of the 1985 Bond film A View to A Kill. New for 2015 at Iceland’s second largest ice-cap, Langjökull, is the IceCave attraction (intotheglacier.is), which allows tourists to delve beneath a glacier in a monster truck. As well as touring stalactite-riddled tunnels and chambers on foot, you can tie the knot inside an ice chapel. You mustn’t leave Iceland without taking a dip in a thermal spring. Public baths are dotted around Reykjavík, with the Laugardalslaug spa a particular favourite with locals. 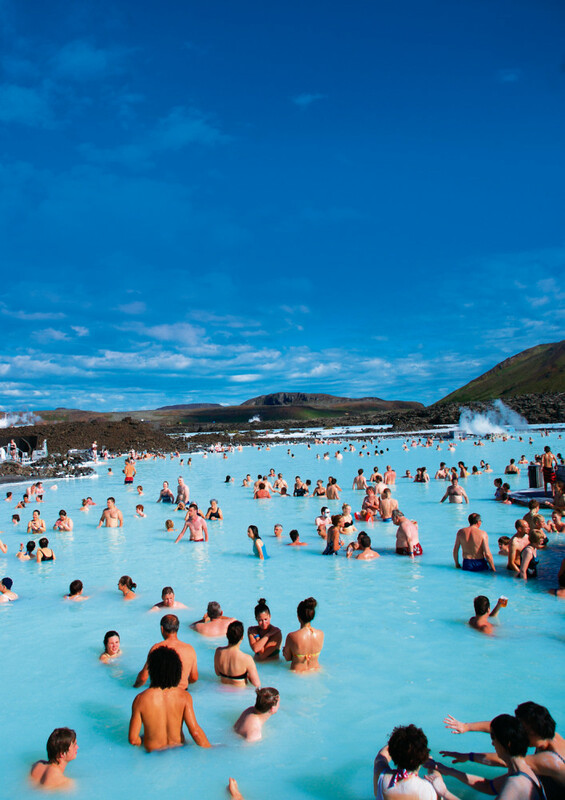 The most alluring for tourists, however, is the Blue Lagoon. Hidden amid crinkly lava fields 50 kilometres from the capital, this deluxe spa is one of Iceland’s most iconic attractions. 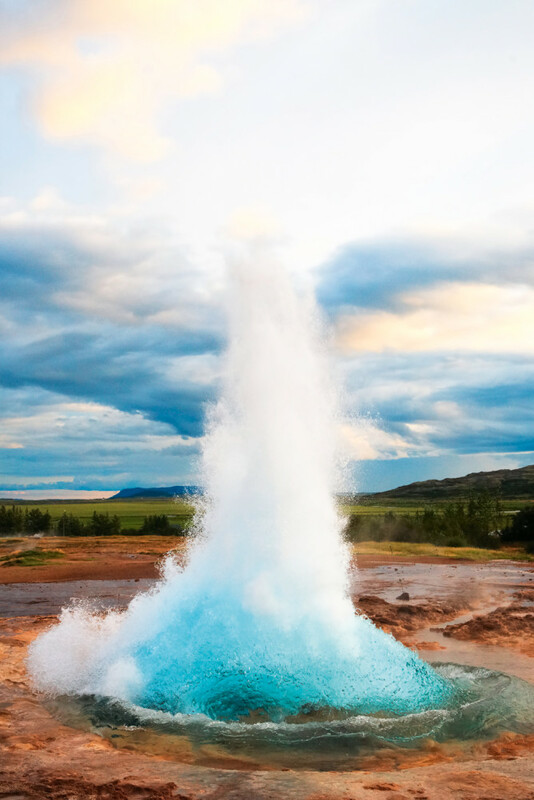 Its milky blue, mineral-rich waters – heated at around 38 degrees Celsius – are a treat to bask in, while its location just a 20-minute drive from Iceland’s international airport makes it the ideal farewell gift. It’s also perfect for those envy-inducing photos on your social networks. My smartphone safely stored in a locker, I pamper myself as I soak in the pool, caking my face and body in revitalising white silica mud. Some bathers receive massages as they float on mattresses, others check into the pool-side clinic for a range of healing treatments. In summer, the Blue Lagoon offers wine-dine-soak-massage midnight sun packages. In the chilly, dark months of winter, when the sun rises around 11am and sets by 4pm, it’s a thrill to observe the dancing, sporadic Northern Lights from the warmth of its open-air pool. Surprisingly, Iceland’s climate isn’t perhaps quite as cold as you’d expect. Because of the warming Gulf stream, summer temperatures are similar to Scotland’s, and despite biting winds and snow storms, winters are, temperature-wise, closer to London’s than Moscow’s. There are no direct flights to Iceland from Australia but you can reach Keflavik (Iceland’s international airport, 50 kilometres from Reykjavík) from several European hubs, notably London, where Easyjet run flights from around $70 each way. To experience Iceland as Steve did, secure a place on Collette’s Inspiring Iceland tour, from $3429 per person. Post-crisis, the devaluation of Iceland’s currency, the krona, makes eating, drinking, sleeping and shopping here, if not a bargain then much more affordable. Australians get double the bang for their buck compared to seven years ago. Rivalling the Kex (kexhostel.is) as Reykjavík’s coolest hostel-hotel hybrid, Hlemmur Square attracts a cross-section of travellers, with sleek dorms (from $24) on its lower floors and luxurious private rooms (from $175) on its fifth floor. Facing the Reykjavík Botanical Garden, about two kilometres from the centre, Reykjavík Lights is one of Iceland’s newest concept design hotels, with rooms and public spaces themed on the city’s ever-changing light. Set in a landmark Art Deco-style building in downtown Reykjavík, Hotel Borg combines old-time elegance with modern flair. Peppered with eye-catching art, and boasting a stylish bar, restaurant and spa, 101 Hotel is one of the funkiest sleeps in Iceland.